"Your program has been so wonderful and definitely fills a need in south College Station." 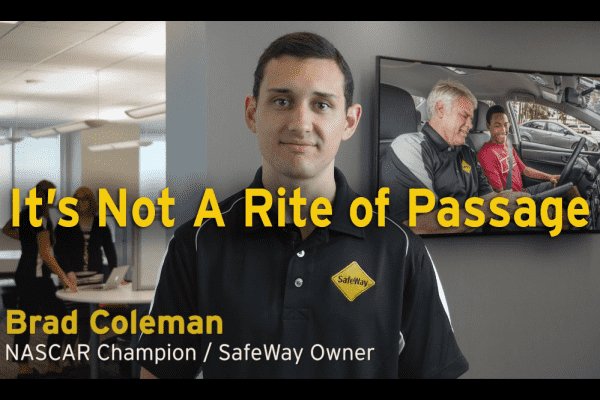 When Gary Green, a longtime SafeWay Instructor, lost his mother in December 2016, he decided to create a safe driving scholarship in her honor. SafeWay Driving has expanded to Bryan/College Station, with the local franchise operated by Texas A&M graduates Will and Leslie Oliver. The company offers a variety of driver-training packages covering all levels of experience, including teens, adults, seniors, corporate training, and DPS driving exam. The program features online curriculum and in-car experience with instructors who receive 90 hours of required training in the SafeWay Driving system. With two future drivers in the house, what better way to ensure safe driving then opening a new business that advocates safe driving and that is what Will and Leslie Oliver decided to do. They found themselves drawn back to Aggieland, a place they loved and knew that their new business endeavor would be supported by a community who embraces their citizens and prides themselves on a safe environment. 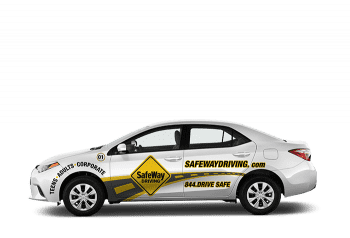 SafeWay Driving is not only for a new/teen driver trying to obtain their driver's license, but it is also for the experienced driver who may want to improve their skills and confidence on the road. SafeWay Driving also provides corporate instruction in order to keep your most valuable assets safe. SafeWay College Station is Aggie Owned and Operated by Leslie and Will Oliver who are excited to be back in Bryan-College Station as permanent residents since attending Texas A&M University. Will, Leslie and their team are committed to preventing “The Phone Call” that nobody wants to receive by providing the best driver training in the Bryan-College Station area. Take your driver training seriously, and take it at SafeWay. I was very impressed with the SafeWay Driving program. The owner, Leslie, went above and beyond to accommodate my son's very busy and challenging schedule. The Houston office which does the initial registration was also very helpful and friendly. Drivers were great and very approachable. Another great aspect is the ability to take the DPS test without going to the DMV. Overall, I would highly recommend this program! Your program has been so wonderful and definitely fills a need in south College Station. I personally have had 1 kiddo go through CSISD’s driver ed and two more do parent taught. Your program was the best by far. I definitely “highly recommend” your company to all my friends who ask about drivers ed options.